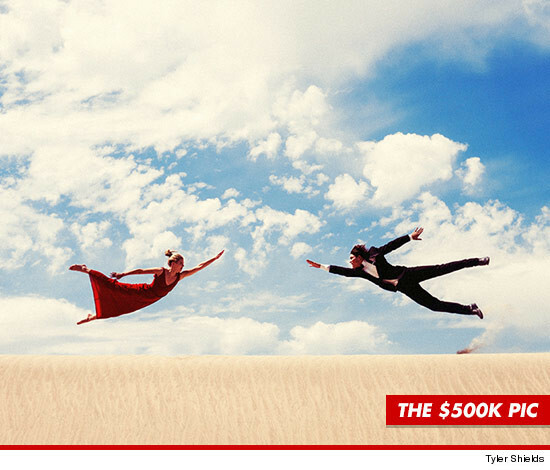 Screw Kickstarter ... celeb photog Tyler Shields was able to fund his first movie ever by selling one of his photos to a huge "Gilmore Girls" star ... for a cool $500,000. Tyler -- famous for his bloody Lindsay Lohan art, among other things -- sold the piece to Scott Patterson ... known to people with TVs as Luke from "GG". The sale did more than just line Tyler's pockets. We're told he specifically created the piece with the intention of using it to finance his first film "The Outlaw" (which he wrote, directs and stars in). In fact, the models in the pic are two of the flick's stars. FUN FACT: the $500,000 pic is bigger than it looks on your tiny computer ... 16 feet by 9 feet ... i.e. the size of a wall in your house. Clint Eastwood's Daughter -- BURNS $100k Handbag ... For the Hell of It!